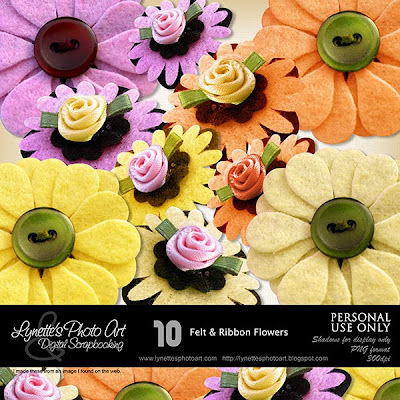 Felt Ribbon Flowers has ten felt, ribbon and button flowers in four color schemes and variations. Click image to enlarge. Click Buy It Now Button below the image to purchase from my PayPal Store for $1.99. Today I'm giving you a pretty word art made with this kit to sample. I made these from an image I found on the web. What a gorgeous wordart, thank you! This is beautiful! I definitely want the kit as well. Thank you for the freebie word art!